Every person on this planet has certain problems, we all have situations that are difficult to deal with, every once in a while most of us wish we could just fly off to a different place and just forget everything, never come back home. If you turn your home into your sanctuary, like I did, you won’t get this urge often as you’d get reenergised at home, so much so in fact, you’d even forget about holidays for some time. Occasionally, I enjoy the rest and relaxation of spas, also taking the overall well-being benefits into account, so I figured why not turn my home into the resting and relaxing place a spa is instead, save up on money and time along the way by giving up going to local spas. So, I started working on this idea. Though I expected it to be somewhat difficult, it got easier than I thought, and I owe it to the ingenuity of the far infrared heating pad. You get all the muscle relaxation in a matter of minutes, with no fuss, and you reap all the benefits of the infrared rays that penetrate through your skin without even sweating. I get the same benefits as I do from a sauna, and I still get to save up on space at home that a sauna would require. 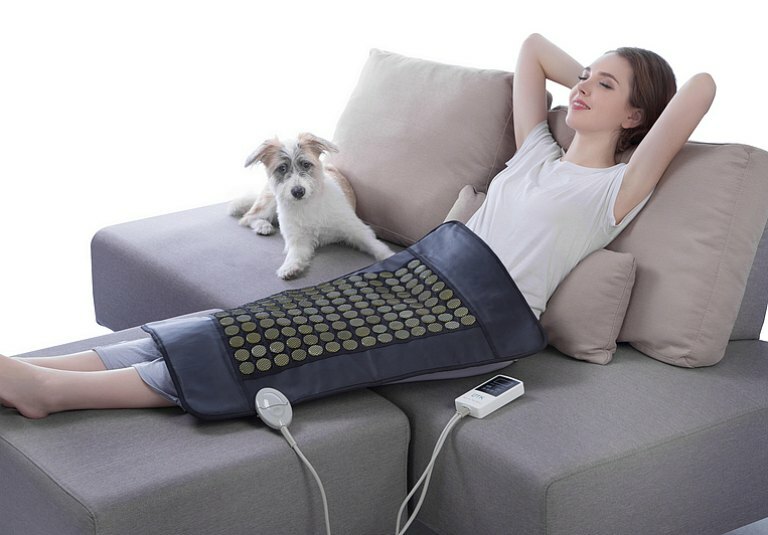 I can place the far infrared heating pad just about anywhere at home, wherever there’s a flat surface and it doesn’t have to be the floor, it can be a bed, or couch, all that’s required is an electrical socket, I plug it in, set the temperature, and I get my own personalised spa in an instant. I feel so relaxed afterwards, that I feel as though I’d been on a long deserved holiday, with no sight of stress or anxiety, knowing my body got the therapy required to detoxify – when I think about it, I find it as relaxing as yoga too! Then again, when it comes to a sanctuary, it all starts and ends with sleep. If you haven’t known by now, sleep deprivation can make you grumpy and shake up your relationships, but that’s not the least damage it can do when it comes to your health and ability to deal with and solve problems. I used to be the typical modern day person, surrounded by electronics even in my bedroom, then wondered why I wasn’t getting the quality sleep and started having insomnia every once in a while. With a bit of research, and diet changes (I don’t eat midnight snacks anymore…), I also said bye to all the electronics in my bedroom. Everything counts in this transformation project, so if you have an outdoor area, don’t forget to include it. You can immediately turn your patio, deck, or yard into a stress-free zone by adding a hammock. Afternoon nap in fresh air? Check. Relaxing reading time while sunbathing? Check. Stargazing at night with your favourite night-cap? Check. That’s the point of this project, to get everything in your home that would reflect relaxation, instead of something that stresses you out. Speaking of which, this would be the perfect time to also get rid of all the clutter you might be having around. These are the steps I’ve taken, and I have to admit, they all work wonders for me. Are there other steps you could take to turn your home into a sanctuary? I’m up for more ideas!